Summer 2019 classes are NOW online and open for registration! Check out the new classes here! now online & open for registration! Get your keiki ready for a summer of creative fun! Our programs sell out each year, so be sure to sign up early! In May & June 2018, Hui No‘eau Visual Arts Center presented GRAFICA: AUWAHI — a project in collaboration with 2018 Artist in Residence Mazatl, Visiting Artist Kill Joy, and the Auwahi Forest Restoration Project! Visit us today to see the incredible mural in the Hui's "History Room" space. Welcome to Hui No'eau Visual Arts Center! Hui No‘eau Visual Arts Center is a nonprofit, non-degree granting, community based visual arts education organization. Our mission is to unlock creativity through exceptional visual arts education and to enhance this endeavor through the preservation of the historic Kaluanui Estate. Share your creativity and the beauty of Kaluanui your ‘ohana! Unlock your creativity and join us for an art class! The Hui offers classes, workshops, and camps for all ages and artistic abilities. Taught by professional Teaching Artists, Hui classes include programs in drawing, painting, photography, printmaking, jewelry, ceramics, glassblowing, Hawaiian arts and more! The Hui also brings exceptional teaching artists to Maui as part of our Visiting Artist program. 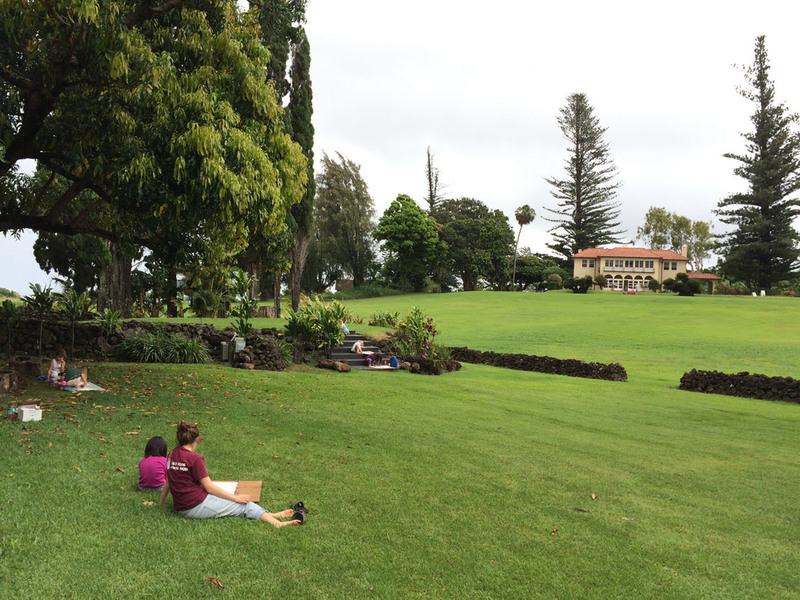 Walk the grounds of Kaluanui and you’ll capture a piece of Maui history, see a fine art exhibition, and watch artists create work before your eyes! The Gallery Shop at Kaluanui features locally made gift items for everyone on your list. With new items and works of art arriving all the time, we encourage you to stop in and see what’s new!